seriously? go ahead. I have so much going on right now. My turn managed to come up in the middle of midterms and such, so I haven't really been able to do it justice. Okay! All we need is JUST ONE THING! ...The save files! Perhaps you could email them to me, ZeuglinRush? My email's right over to the left there. If you do that, I'll take care of the rest! mmkay. I'll send you the version from directly after my post, so there's some continuity to the madness. I have a really bad feeling about this... 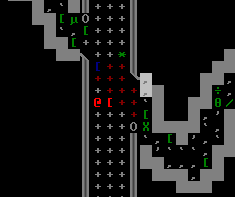 I've been watching this fortress for 1 minute, and this happens already? 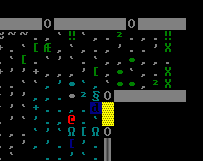 I designated a new dumping zone for bodies and refuse, and a new 20-slot tomb to store some of the bodies, but nobody wanted to do any work! They just lie around and wait to go crazy/berserk/die. Ingiz's rampage eventually came to a halt, 3 days later. We're down to 11 now... it's not looking good. Mere days have gone by since the big outbreak of Ingiz... and NOW THIS?! Now we have an ex-champion running through the halls. Just great. Should have turned your head to the sky and drank it, fool! 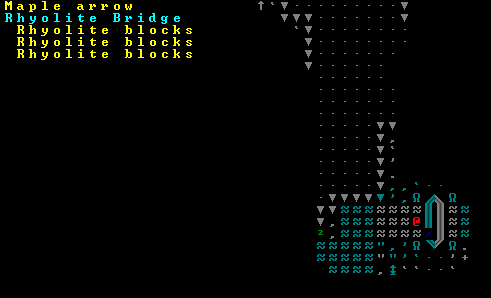 I guess I didn't take a picture of these events... but it looks like we're down to 6 dwarves. They're all mortally ill and lying on their beds just waiting to die. WE NEED MORE BUCKETS! Whoa... that's a lot of blood. And finally... it was only a matter of time... Tekkud let herself fall asleep, and hunger overcame the poor dwarven girl. With that, Helmauthors had lost it's final resident. 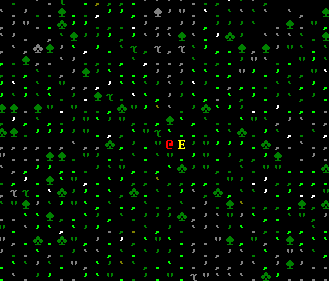 So, it only took about a month ingame to lose 22 dwarves. Everyone was sick, hungry, wounded, crazy, or thirsty, and nobody wanted to do anything. I really doubt this save is recoverable, but if anyone else wants to try, be my guest! Aaaand how many helms were authored in the lifetime of Helmauthors? Word has reached Thalú Fivo that the dwarven settlement of Zonardes is no more. They slaughtered two dozen of our best in the Spring of 205, but the very fabric of their society was mortally wounded. Now, word has come from the human merchants that nothing lives in Zonardes. 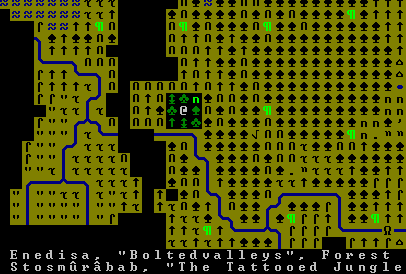 Of course, saguaro would grow in the forest before elves would trust human intelligence...or human espionage. Next spring there will be another march on Helmauthors, to drive away all who might remain there. It is already planned, there is no point in even sending a scout to verify the reports. But even if the army is uninterested, an adventurer looking to make a name for himself might take the opportunity to do some scouting on his own initiative. If such a scout could return with real news, eyewitness reports of the fate of Helmauthors one way or the other, the druids might look well upon him. Thus, in the name of Ola the Ripe Swamp, I, the swordself Inefa Ulayathine shall penetrate the mystery surrounding Zonardes--"Helmauthors". I began my journey in the forest, chatting with a friendly bowmaker. While I live in Enedisa, it borders the jungle Ilificovema. 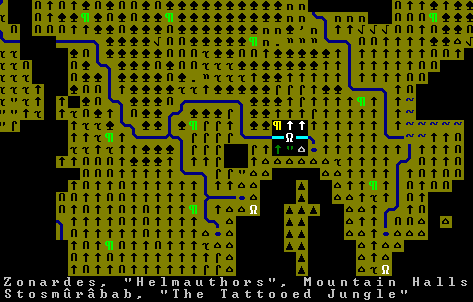 (For some reason, the disgusting goblin name for the jungle is the one in most common use--"Stosmûrâbab".) I know that Zonardes is well to the southeast, just visible on this map. It takes less than a day to travel the elven trade trails to my destination. Unfortunately, I arrive in darkness. The great gate in the wall stands open. Stone is scattered everywhere. The dwarves have lain stones across the ground to stunt its growth (I think they refer to this as "paving"). However, the road has been broken, and nature forces her way back upward. Ice and bones litter the ground. I can hardly believe my eyes. 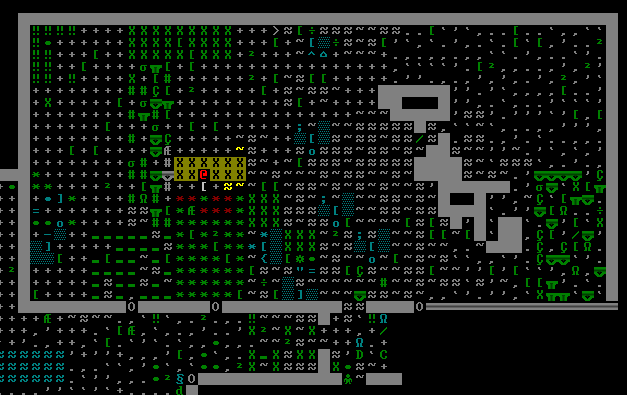 The dwarves felled a tree--chopped it, I can clearly see the axe marks. Then they left the wood to rot on the ground. I can feel my body tense like a drawn bowstring. 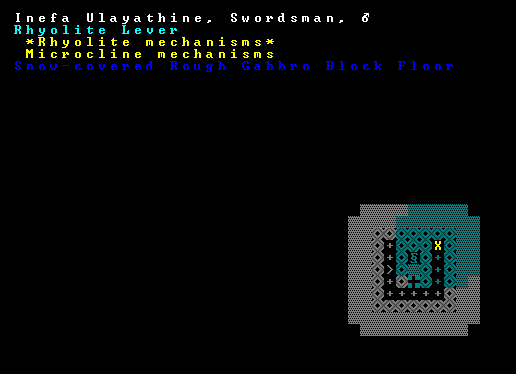 Not only dwarf bones, but those of bizarre creatures. The bones are yellow and warm to the touch; some sort of fire elemental? What dark powers were these dwarves consorting with? I walk across an ornate bridge over a small gulch, and I find evidence of my compatriots. The bridge is decorated with statues of a startling red stone. The craftselfship is amazing...or would that be craftsdwarfship? Provisions! 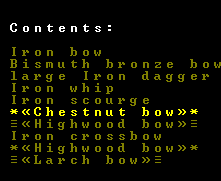 Harvested by the dwarves, no doubt, but at least I won't go hungry. I didn't know they ate berries. But then, I have heard that the dwarves are master brewers. Climbing to the top of the tower is a bit of a workout. It is all of stone, laid out with unnatural precision. The platform at the top has quite a cunning design, allowing archers to peer out and shoot through gaps in the stone. There's also a lever. I decide...not to pull it. The mountain has been carved out with geometric precision. I find more evidence of the earlier invasion. It's sobering to think of those great elven warriors sleeping...somewhere in the land around here. 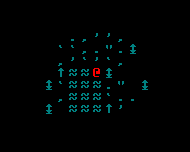 From what I've heard, the dwarves let elven bodies decay where they fall, returning to the soil...though it's more likely due to laziness than respect. At last, the main entrance. Decorated with statues, cages and great gates. I cannot make sense of the layout. Everything is silent. Once a meeting hall, now an abattoir. Rubble and corpses are strewn everywhere. 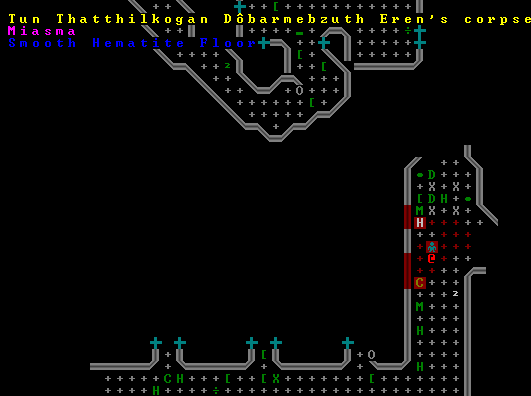 This is my first time seeing a real dwarf corpse. There cannot be any dwarves still alive in this settlement, I feel it in my blood. A great underground room. To be in a room that is at once so open and so enclosed is a strange experience. I feel that the room is somehow unfinished, with its mishmash of soil, smooth blocks and raw stone. Amazing!...Actually, this is disappointing, for two reasons. First, the bows were spoils of war, and probably the rest as well. Second, don't dwarves ever use swords? 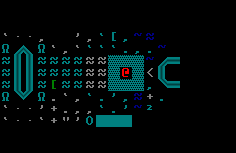 This engraving has a strange title, or else my Dwarvish isn't quite up to snuff. Still, it's incredibly well crafted. I believe "The Furious Halls" is the name of the group that settled here, "Helmauthors" being the name of the region itself. 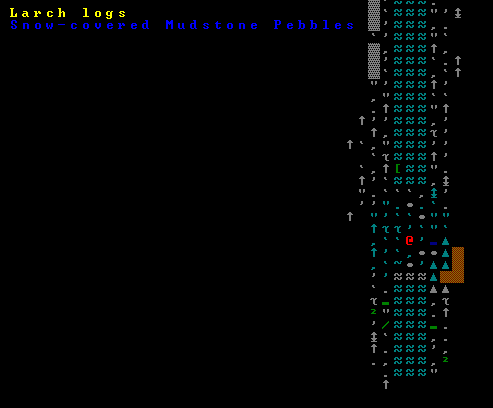 I suppose this is how the dwarves recorded their history...permanently, in the bones of the earth. Is that...just...I don't even know what to think. The dining room could hold more than 50 dwarves, I'm sure. Everything is so planned, so geometric. Everything has been shaped by a sentient mind, not grown according to the whims of Ola. Every corner, every smooth plane is a decision, a decision forever frozen in stone. Now it all lies forgotten, strewn with dust and bodies. I knew the bodies had to be somewhere. I knew no one was left alive. I don't know what killed them all. Violence, mostly; festering wounds, going untreated for...Some of them must have succumbed to hunger or thirst. I would not have wished such a death on anyone. More bloody halls. They must have mined out the red stone, then abandoned these tunnels. 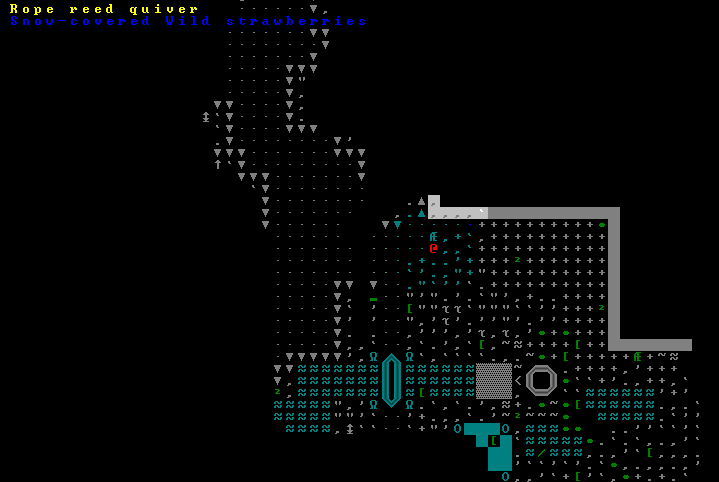 Now they're strewn with the detritus of dwarven life. 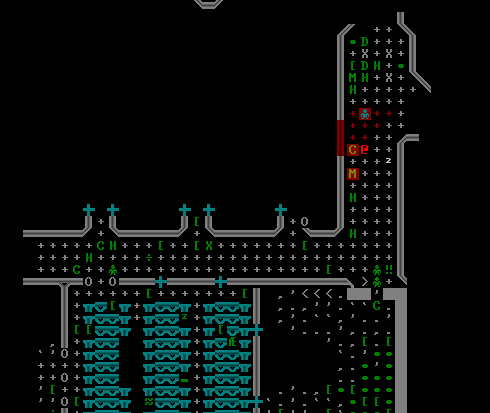 So after the final save, I ran the fortress for a month or two to see what would happen. I'm pretty sure it's not salvageable. 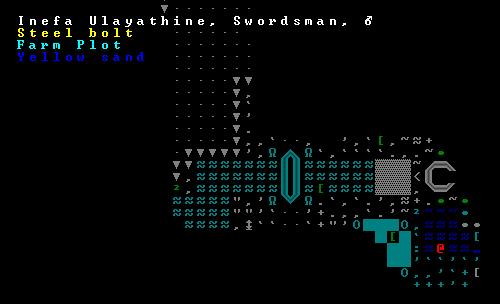 After it crumbled, I generated an elven adventurer to explore the ruins...Just to give the saga of Helmauthors a conclusion.